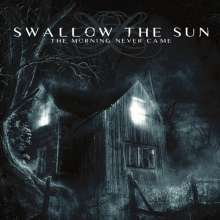 Der Artikel Swallow The Sun: The Morning Never Came (Reissue) wurde in den Warenkorb gelegt. Started off in Jyväskylä (Finland) almost twenty years ago and assembled by Juha Raivio and Pasi Pasanen, Swallow the Sun released their debut album »The Morning Never Came« in 2003. Received warmly by media and doom metal fans from all over the world, the album became an instant classic and meant the rise of a new power on the genre. Now a much sought after vinyl release sees the light in 2018 by Alone Records.